Neither is particularly technologically advanced (although, I will admit that I don’t know how to make either one). However, both are quite effective as writing utensils and as close range weapons. Which is the better survival tool? Disposable ball point pens can last quite a while if they are good quality. Low acid ink lasts significantly longer than pencil lead and old versions of ink. If the ink barrel is trimmed, small items can be stored within the pen’s barrel. Fountain pens are great for storage, but changing the cartridges on the go could prove to be too time consuming to be practical. Pens that use indelible inks are best for recording and keeping memories. While erasable pens give you the opportunity to fix any errors or revise history, their ink smudges and doesn't last as long as regular pens'. 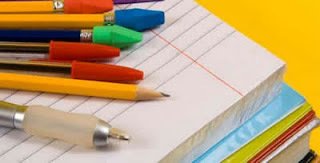 Pencils also last a long time, but the marks they leave fade more quickly than ink. They also require a way to sharpen them. If you have a knife in your Bug-Out-Bag, this shouldn't be an issue. A small plastic sharpener will save the wear-and-tear on your knife. Or, you go the mechanical route. 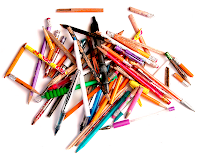 Like pens, mechanical pencils can be used to store small items like matches or pills. If you find yourself abducted by aliens during an invasion, pencils are the right writing utensil to have on hand: they do not depend on gravity to mark the page. Ink won’t leave the barrel of most pens in zero gravity. Both can be used to jab out eyes, stab temples, and do damage to throats. If they are used as weapons, they should be the last resort: you would need to be far too close to an attacker for either to be a practical weapon. Which is the best choice? I would take a mix of pens, regular pencils, and mechanical pencils with me. After all, they are slim, light, and easy to store. What would you bring? Pens? Pencils? Both? Tell us in the comments.